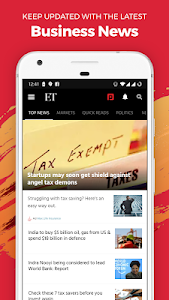 Get the Economic Times advantage to track the latest Business News and Stock Market on the go and make informed decisions. 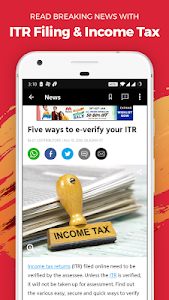 Download the Economic Times app and stay updated with unrivalled coverage of Stock Market, Business, Finance, Sensex - BSE India, Nifty- NSE India, Personal Finance, Business News and Economy News as they happen. 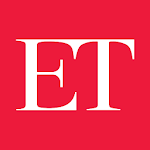 - ET app lets you get the latest and popular Business News, Stock Market, Finance, Sensex - BSE India, Nifty- NSE India news as it happens. 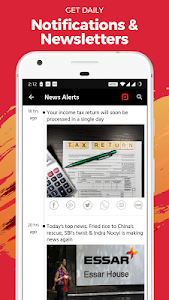 - Offers a full range of News categories: Top Stories of India and abroad, News by Industry, Market News, Stock Market News, Personal Finance News, Technology News, Business News, Opinion News, Features News, Environment News, Nifty - NSE India News, Sensex - BSE India News and many more. - News that directly linked to BSE, NSE, Sensex, Nifty, NCDEX, and MCX. - Introduces Slideshows ranging across different genres - Auto, Advertising & Marketing, Biz & Entrepreneurship, Corporate & Industry, Consumer & Legal, Economy, Entertainment, Events, Stock Market and many more. 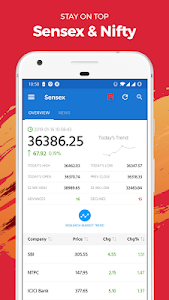 - Gives enhanced Markets Data ranging from Stock Market- Sensex, BSE, Nifty, NSE, Mutual Funds, Commodities, Companies, Shares, Movers, Gainers and Losers. - Allows home screen widgets to keep you up to date even when the app is closed. 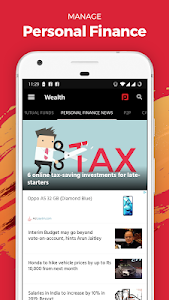 - Provides an all new ET Portfolio enabling you to manage/track your investments in Stock Market on the go. - Lets you share stories on different social networks or on email/SMS to a friend. 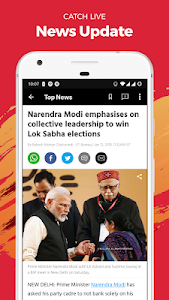 - Supports breaking News Push Notifications to keep you updated with latest events. - Has offline reading supported which enables you to sync the stories when you have a signal and then read them offline at your leisure. 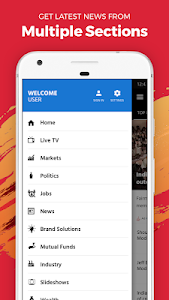 - Displays a breaking News ticker while surfing the app to keep you updated with latest events on the go. 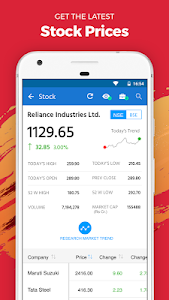 - Lets you track the stocks in your Watchlist, Stock Market Gainers, Stock Market Losers, Stock Market Movers, BSE, NSE, Sensex and Nifty etc. - Full-fledged financial market access which includes NSE, Nifty, Sensex, BSE, Bank Nifty, BSE MID CAP, along with Commodity and Currency Markets.